On Wednesday, it will be Tim Cook’s turn to face the music when Apple Inc. (NASDAQ:AAPL) holds its annual meeting at its headquarters in Cupertino, Calif., at its famous address, 1 Infinite Loop. Chances are shareholder David Einhorn will ask to be recognized to urge defeat of a bylaws change he claims would bar Apple from dealing with its $137.1 billion cash pile. In the end, though, it’s likely Einhorn’s proxy campaign will fail, although the New York hedge fund manager, whose Greenlight Capital owns 1.3 million Apple shares valued around $586 million, will win indirectly. On Friday, Greenlight won an injunction against the vote from a federal judge in New York. Votes for the resolution won't be announced. Chances are Apple CEO Cook, 52, or Chairman Arthur Levinson, 62, will announce some kind of solution. Einhorn advocates that Apple issue iPref shares, or preferred shares for about $47 billion, which would carry a 4 percent annual dividend, rather than declare a one-time special mega-dividend, as Microsoft Corp. (NASDAQ:MSFT) did in 2004, or some other move. Last week, Meg Whitman, CEO of Hewlett-Packard Co. (NYSE:HPQ), dodged similar bullets. The world’s top computer maker reported higher-than-expected first-quarter earnings, despite lower sales across all divisions, mainly due to restructuring, share buybacks and other cost efficiencies. Whitman, 56, has a master’s degree in business administration from Harvard Business School. Cook has one from the Fuqua School of Business at Duke University. Two weeks ago, Michael S. Dell, 47, who dropped out of the University of Texas to found what became the world’s biggest PC maker and now is only No. 3, announced that Dell Inc. (NASDAQ:DELL) will be acquired in a $24.4 billion leveraged buyout with his stake and personal stash, cash from Silver Lake Partners and Microsoft, plus about $15 billion in bank loans. 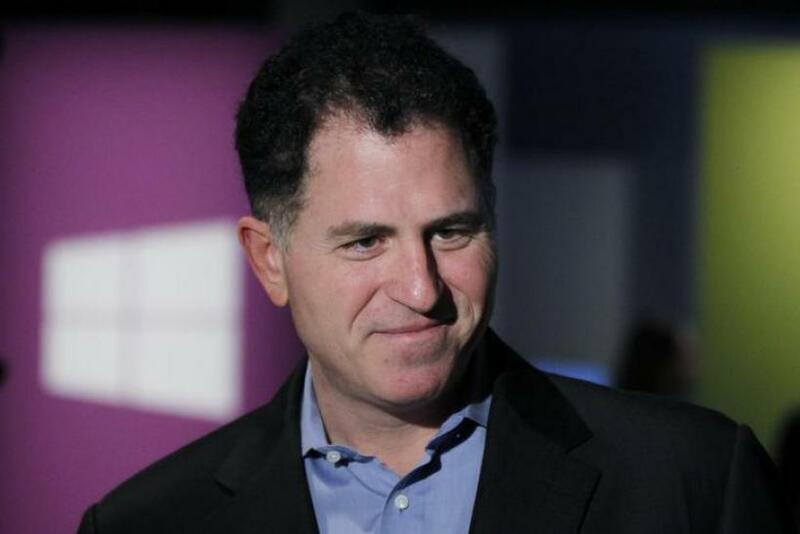 Although the $13.65-a-share deal has been criticized as too low by several institutional investors, Dell himself will only receive $13.36 a share, he disclosed. Of course, he’ll also get all the headaches of continuing to run the company through a transition from dependence upon PCs to services, software and possibly mobile systems -- plus the satisfaction of reporting to all his new partners! To be sure, rather than running technology companies, this is more financial engineering than what Harvard Business Prof. Clayton Christensen calls “disruptive technology.” Indeed, Whitman at HP and Cook at Apple are only the latest in a line of CEOs, only some successful, who inherited the founders’ chairs. Under Cook, Apple has been generating huge profits, but the company hasn't launched any major new product lines since the death of Chairman Steve Jobs. Cook promised exciting new products soon but, as usual, didn’t tip his hat about them. He and CFO Peter Oppenheimer should have dealt with the cash buildup long before Einhorn started clamoring. Shares of Apple closed Friday at $450.81, down 10.2 percent for the past 52 weeks, and a far cry from their record high of $705.07 last September, the day of first shipments of the iPhone 5. Whitman, at HP, has tidied up, moved some executives around, fired 16,300 employees, shaved costs and bought back shares. These moves will boost second-quarter and full-year results and even won backing from several skeptical analysts, like Steven Milunovich of UBS, who’d long backed a breakup of the company. HP shares are still down 35 percent for the past 52 weeks, although they’ve gained 35 percent just since Jan. 2. Whitman, a financial engineer like Louis V. Gerstner was at International Business Machines Corp. (NYSE:IBM) 20 years ago, may succeed with a similar turnaround. But the jury’s still out. Dell is another story. A middle-aged company in transition is running to financial engineers for help. Unlike Cook and Whitman, Dell is an original company builder and a shrewd analyst of technology whose name is on the door. Most likely, he needs to succeed most of all. Shares of Dell closed Friday at $13.92 and have lost 23 percent over the past year. But they’ve gained more than 37 percent just since Jan. 2 on Dell’s big gamble.